We wish to draw your attention to the damage being done to the Republic of Turkey, to its reputation and the dignity and well-being of its citizens, through what leading authorities on freedom of expression deem to be the unlawful detention and wrongful conviction of writers and thinkers. “The space for democratic debate in Turkey has shrunk alarmingly following increased judicial harassment of large strata of society, including journalists, members of parliament, academics and ordinary citizens, and government action which has reduced pluralism and led to self-censorship. This deterioration came about in a very difficult context, but neither the attempted coup nor other terrorist threats faced by Turkey, can justify measures that infringe media freedom and disavow the rule of law to such an extent. There is no clearer example of the commissioner’s concern that the detention in September 2016 of Ahmet Altan, a bestselling novelist and columnist; Mehmet Altan, his brother, professor of economics and essayist; and Nazlı Ilıcak, a prominent journalist – all as part of a wave of arrests following the failed July 2016 coup. These writers were charged with attempting to overthrow the constitutional order through violence or force. The prosecutors originally wanted to charge them with giving “subliminal messages” to coup supporters while appearing on a television panel show. The ensuing tide of public ridicule made them change that accusation to using rhetoric “evocative of a coup”. Indeed, Turkey’s official Anatolia News Agency called the case “The Coup Evocation Trial”. As noted in the commissioner’s report, the evidence considered by the judge in Ahmet Altan’s case was limited to a story dating from 2010 in Taraf newspaper (of which Ahmet Altan had been the editor-in-chief until 2012), three of his op-ed columns and a TV appearance. The evidence against the other defendants was equally insubstantial. All these writers had spent their careers opposing coups and militarism of any sort, and yet were charged with aiding an armed terrorist organisation and staging a coup. The commissioner saw the detention and prosecution of Altan brothers as part of a broader pattern of repression in Turkey against those expressing dissent or criticism of the authorities. He considered such detentions and prosecutions to have violated human rights and undermined the rule of law. David Kaye, the UN special rapporteur on freedom of expression, concurred and dubbed the legal proceedings a “show trial”. Turkey’s own constitutional court concurred with this criticism. 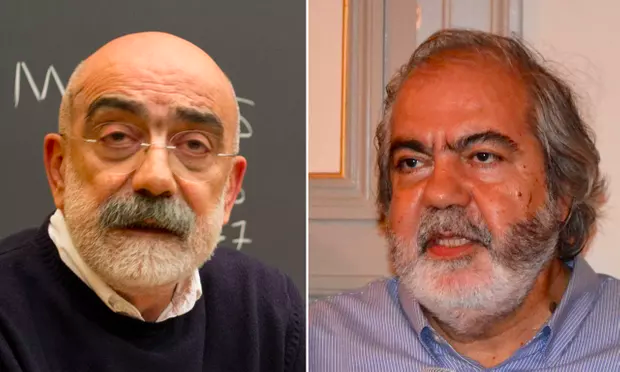 On 11 January this year, it ruled that Mehmet Altan and fellow journalist Şahin Alpay’s rights were being violated by pre-trial detention, and that they should be released. Yet the first-degree courts refused to implement the higher constitutional court’s decision, thus placing the judicial system in criminal violation of the constitution. Mr President, you must surely be concerned that the lower criminal court’s defiance and this non-legal decision was backed by the spokesperson of your government. On 16 February 2018, the Altan brothers and Ilıcak were sentenced to aggravated life sentences, precluding them from any prospect of a future amnesty. President Erdoğan, we the undersigned share the following opinion of David Kaye: “The court decision condemning journalists to aggravated life in prison for their work, without presenting substantial proof of their involvement in the coup attempt or ensuring a fair trial, critically threatens journalism and with it the remnants of freedom of expression and media freedom in Turkey”. In April 1998, you yourself were stripped of your position as mayor of Istanbul, banned from political office, and sentenced to prison for 10 months, for reciting a poem during a public speech in December 1997 through the same article 312 of the penal code. This was unjust, unlawful and cruel. Many human rights organisations – which defended you then – are appalled at the violations now occurring in your country. Amnesty International, PEN International, Committee to Protect Journalists, Article 19, and Reporters Without Borders are among those who oppose the recent court decision. During a ceremony in honour of Çetin Altan, on 2 February 2009, you declared publicly that “Turkey is no longer the same old Turkey who used to sentence its great writers to prison – this era is gone for ever.” Among the audience were Çetin Altan’s two sons: Ahmet and Mehmet. Nine years later, they are sentenced to life; isn’t that a fundamental contradiction? Under these circumstances, we voice the concern of many inside Turkey itself, of its allies and of the multilateral organisations of which it is a member. We call for the abrogation of the state of emergency, a quick return to the rule of law and for full freedom of speech and expression. Such a move would result in the speedy acquittal on appeal of Ms Ilıcak and the Altan brothers, and the immediate release of others wrongfully detained. Better still, it would make Turkey again a proud member of the free world.